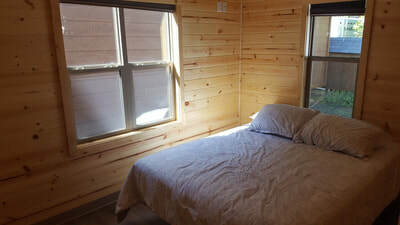 The cabins are $175 per night for 2 adults and 2 children (17 years old and younger). 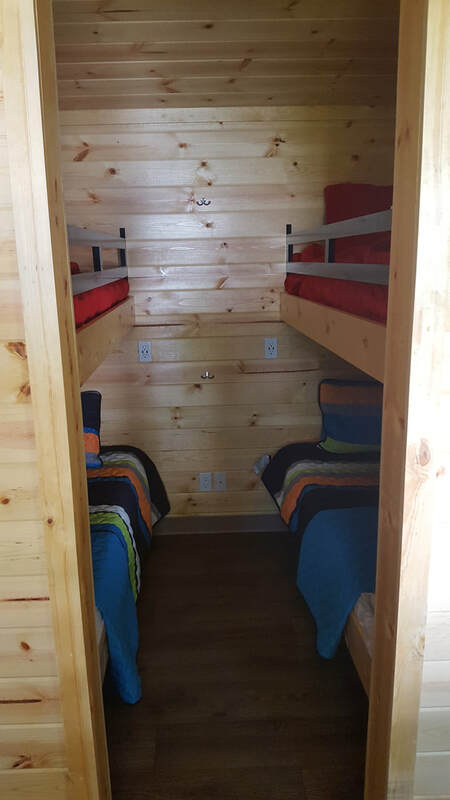 Extra adults are a extra cost per night, only 1 vehicle per campsite. 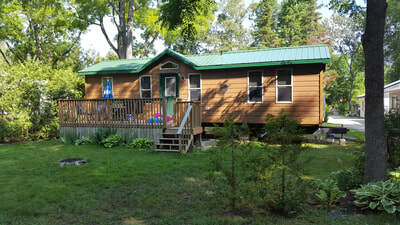 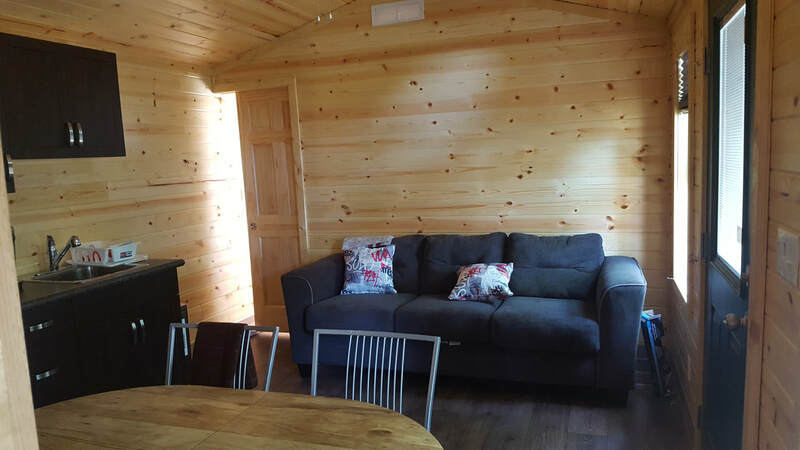 The cabins are a year old and are smoke and pet free. They can sleep 8 with 1 Queen Bed and 2 bunkbeds (4 single beds). Each Cabin has propane heat , with air-conditioning and four piece bathroom. Pillows and blankets and included. 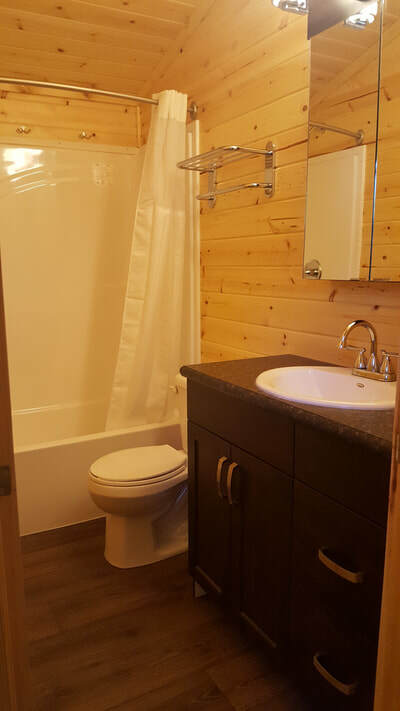 You can bring your own sheet and towels if you wish. 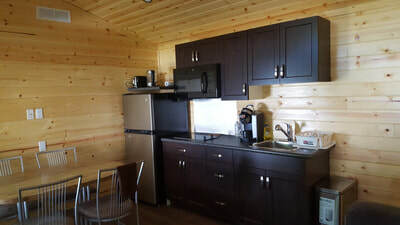 The kitchen is fully equipped with: 2 burner cook-top, refrigerator, microwave, Keurig coffee maker, pots and pans, dishes/cup and glasses and utensils - all you need to bring is the food and coffee pods for the coffee machine! Each cabin has its own full size propane BBQ, 1 patio table with chairs, outdoor chairs, and firepits. Cabins are approximately a 3 or 4 minute walk to the store / beach / showers.